Amelia Island Historic District and Fernandina Beach will appeal to history buffs. Step off the beaten path and head to Egan's Creek Greenway and The Golf Club at North Hampton. There's still lots to do: brush up on your knowledge of spirits at Marlin & Barrel Distillery, tour or see a game at Main Beach Park, see the interesting displays at Fernandina Beach Pinball Museum, and play a few rounds at Island Falls Golf. To see ratings, photos, traveler tips, and other tourist information, go to the Amelia Island journey builder app . 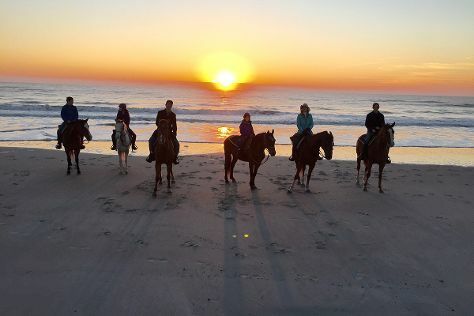 April in Amelia Island sees daily highs of 78°F and lows of 63°F at night. Finish up your sightseeing early on the 19th (Fri) so you can travel back home.